Last month, the Parliamentary Joint Committee on Corporations and Financial Services published its ‘Fairness in Franchising report’ (Report). The terms of reference for the Report were released over 12 months ago and more than 400 submissions were received, mostly from franchisees. Over the past decade, Australia’s franchising legal framework has undergone significant reform, and been the subject of a number of enquiries by the Australian Competition and Consumer Commission (ACCC). The Committee’s 71 recommendations by and large reflect the concerns raised by franchisees, potentially paving the way for significant reform to the Franchising Code of Conduct (Franchising Code). The Report raises significant concerns for franchisors including recommendations aimed at prohibiting the inclusion of ‘unfair contract terms’ in franchise agreements. The unfair contract terms regime set out in the Australian Consumer Law (ACL) has been in effect since 1 July 2010. An unfair contract term is a term in a standard form contract that causes a significant power imbalance between the parties and is considered not reasonably necessary to protect a party’s interests and causes detriment when relied upon. Courts can declare an unfair contract term void, however, there are currently no penalties for breaching unfair contract terms laws. The ACCC had been campaigning for penalties to be imposed where there had been a contravention of the unfair contract terms provisions of the ACL. The Committee received submissions that highlighted shortcomings of the application and enforcement of the unfair contract terms regime and concluded that the franchising industry was not adequately deterred from non-compliance. Consent from a majority of franchisees within a franchise system be obtained to any unilateral variation to the terms of a franchise agreement. Enforcement resources for the ACCC be increased to investigate potentially illegal unfair contract terms. Certain ‘unfair’ terms in franchise agreements be banned, including unilateral variations to terms and conditions and charging wastage and shrinkage payments. The Report recommended the establishment of a multi-departmental taskforce, including representatives from the ACCC, to consider some of the Report’s recommendations before any legislative action is taken. Make unfair contract terms illegal, requiring compliance with the unfair contract terms regime under the Franchising Code and the introduction of civil penalties for breaches. Introduce a new definition to capture ‘franchise agreements’ instead of relying on franchising agreements to fall within the meaning of a ‘small business contract’. Giving the ACCC stronger investigative and enforcement powers where an unfair contract term is suspected. Restricting unilateral variations to franchise operations manuals or policies. The taskforce’s consideration of the recommendations will likely take some time and the Franchising Code may potentially require multiple ongoing amendments. This is further compounded by the imminence of the federal election and the aftereffects of the Banking Royal Commission. Depending on the outcome of the upcoming election, the industry should expect a gradual roll out of amendments to the Franchising Code from late this year and further reform in 2020. Making unfair contract terms illegal by way of civil penalties for breaches. Redefining ‘small business’ from ‘as a business that employs fewer than 20 persons’ to ‘fewer than 100 persons at the time the contract was entered into or had an annual turnover less than $10 million’. Removing the value threshold with the aim of broadening its application to small business contracts. Clarifying the existing definition of a standard form contract. Streamlining any overlap between state and territory laws regarding exempting ‘minimum standards’ for payment terms or leasing. business-to-business contracts. Franchisors should be aware of these changes and ensure measures are in place to prepare for upcoming reforms. 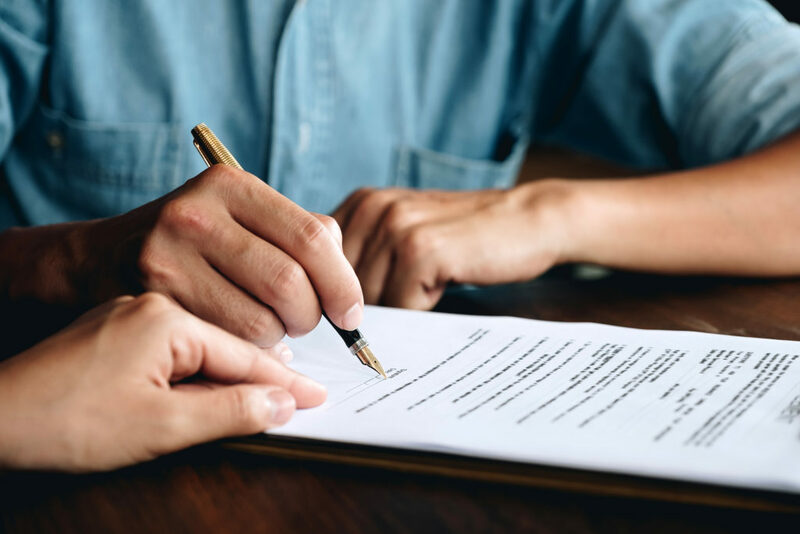 Both franchisors and franchisees should undertake a thorough review of their franchise agreements to ensure compliance with the unfair contract term regime. Contracts with potentially unfair terms now pose an increased risk of regulatory action. Franchisor businesses should ensure that they are aware of the potentially broadened application of the unfair contract terms regime. © Copyright 2019 Rigby Cooke Lawyers. All rights reserved. Liability limited by a scheme approved under professional standards legislation.